The Palace Theatre has a long and cherished history as a space where people can experience the artistic endeavors of local, national and international acts. Check out our Upcoming Shows. The theatre is no stranger to plays and other theatrical productions. The Nobel Laureate Playwright and Actor Harold Pinter once tread the boards here as a young man in a series of Shakespearean plays. Local productions such as Take Fives ‘Letters to Lucy’ and ‘Little Gem’ have been welcome additions to the prestigious catalog of work that has been performed in the Palace Theatre over the years. The theatre has been host to many a musical thanks to the Fermoy Musical Society which was founded in 1924 with their first performance of Gilbert and Sullivan’s ‘Trial by Jury’. 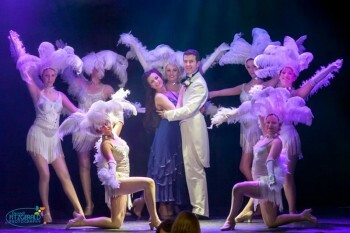 The Musical Society has gone on to annually produce classic musicals such as ‘Oklahoma’, ‘Guys and Dolls’, ‘Crazy For You’ and ‘ My Fair Lady’. 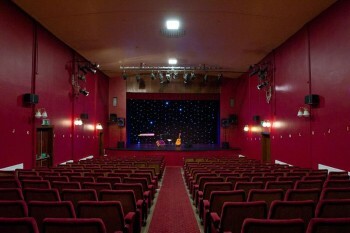 The theatre is also available for rental as a rehearsal/practice space for bands and individuals who may want to experience playing in a concert type space.